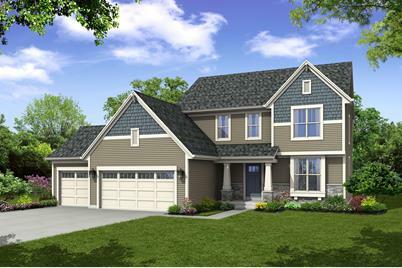 This unique living space includes everything that a family needs - a kitchen with plenty of cabinetry, walk-in pantry and prep island, a morning room for casual meals, a laundry room with plenty of elbow room, a great room and a formal dining room for large family gatherings. The second floor rounds out this home with private spaces including three secondary bedrooms, a hall bath, and a large owner's retreat complete with walk-in closet and deluxe bathroom featuring a dual vanity and five-foot shower. Driving Directions: 41/45 North, exit on W. Capitol Rd., West on W. Capitol Rd. to Pilgrim Rd. (YY) North to W. Lisbon Rd., East on W. Lisbon Rd. to community entrance on the left. N49W15496 Orchid Cir, Menomonee Falls, WI 53051 (MLS# 1614598) is a Single Family property with 4 bedrooms, 2 full bathrooms and 1 partial bathroom. N49W15496 Orchid Cir is currently listed for $450,900 and was received on November 17, 2018. Want to learn more about N49W15496 Orchid Cir? Do you have questions about finding other Single Family real estate for sale in Menomonee Falls? You can browse all Menomonee Falls real estate or contact a Coldwell Banker agent to request more information.